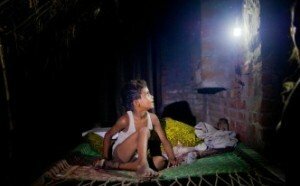 In a northern village of India, rural solar energy panels quietly produce clean energy, eliminating kerosene lamps that once polluted air and harmed health. Light bulbs shed their glow in the darkness of the night. Fans cool the hot, humid air. A light outside keeps children safe while chickens and cows produce income for families. Milk is ready for morning truckers who haul to market. That’s India’s future if Paul Needham, head of Simpa Networks, achieves his dream: putting solar panels, the size of two large laptop screens, on every village home and business. 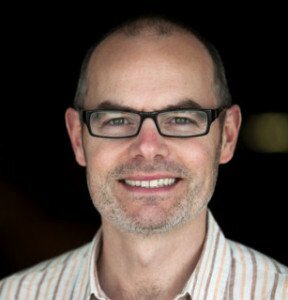 In my podcast interview with Paul, an ex-Microsoft entrepreneur, he describes Simpa’s mission to electrify the one billion people on Earth without any power and another billion with little electricity. 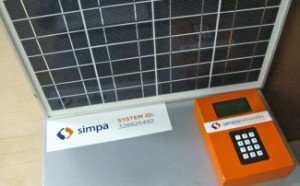 Meanwhile Paul and his team at Simpa, along with sales agents who roam the countryside, fulfill an Indian government mandate: grow rural solar energy quickly to prevent further deterioration of India’s environment. The Central Electricity Authority (CEA) says India’s energy comes mainly from coal (60%) with an expected total electrical shortfall this year of 5.1%. The country must move quickly to reduce the health and environmental damage from fossil fuels–not an easy task with India’s growing population now at 1.2B. While in Tanzania, Paul watched a woman trying to make money growing tomatoes on an acre of land. Meanwhile, another woman with a solar panel sold top-offs to cell phone customers nearby. The first woman didn’t make a profit despite having plenty of water in the good years; the mobile vendor had a constant stream of customers who needed their phones charged and replenished with more calling minutes. Paul quickly realized that people could microfinance rural solar energy. Simpa customers put down a small deposit, then continue on a “pay as you go” method. Customers buy electricity as needed, stored on a battery slightly larger than a car’s until they need to re-charge. Using SMS on a cell phone, customers transfer a dollar or two to Simpa for additional juice. After two years, customers own the solar system and get free energy. It’s similar to leasing a car, except at the end of the term, ownership switches to the customer without further payments. Can mobile technologies help companies like Simpa supply India’s dire energy need? Learn more by listening to a fascinating and dedicated entrepreneur talk about his dream for solar energy in a land called India. This is the sixth in a series of interviews and articles about financial inclusion of people using mobile devices to gain access to financial services. These and other financial inclusion pioneers will be featured in Carol Realini’s forthcoming book “Financial Inclusion at the Bottom of the Pyramid.” See her Facebook page for further information.